The Bedford, Indiana Times-Mail reports that the last politically appointed postmaster remaining in the country will retire at the end of the month. BEDFORD — Tom Priddy, deemed by the United States Postal Service as the last politically appointed postmaster in the country, is retiring at the end of this month. 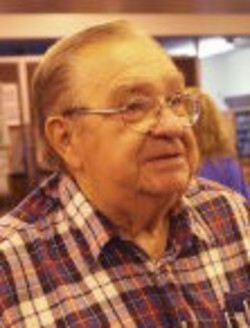 Priddy began working for the postal service on June 29, 1957, bringing his years of service to 57. More than 20 of those years were spent as the postmaster in Bedford. Dwight Eisenhower was president when Priddy began working for the postal service. Prior to 1969, all postmasters, with the exception of those in the smallest “fourth class” offices, were appointed by the President, and were subject to Senate confirmation. Rural carriers were appointed by the PMG on the recommendation of the local Congressman. Political appointments ended in 1969 on the orders of then President Richard Nixon. Read more: Calling it quits. Now they just put their relatives in these cushy positions. In our plant we have a couple of names that go back generations. Two of our past managers of personal had children that work at the P.O. We had a girl in her twenties that is now a postmaster. Her father was in charge of postal operations and he rmother was also pretty high up in management. It goes on an on. Also, how about having a manager with had more then one OUI, refuse to hire others that apply with OUIs? Sorry we can’t hire you, because I have a couple of OUIs, but you can’t have any? Postal logic and postal math makes the P.O. world go round and round. No need for political appoints anymore. Not many people remember that rural carriers were political appointees. Rural carriers were the highest paid craft workers at the time. City carriers were level 4s. The Postmaster General, himself, was a political appointee and a member of the President’s cabinet. In those days, the PMG cared about customer service. Maybe we need to go back to political appointments,It certainly couldn’t be any worse than the nepotism,cronyism and inbreeding system of promotions that has infested management for the last 43 years.